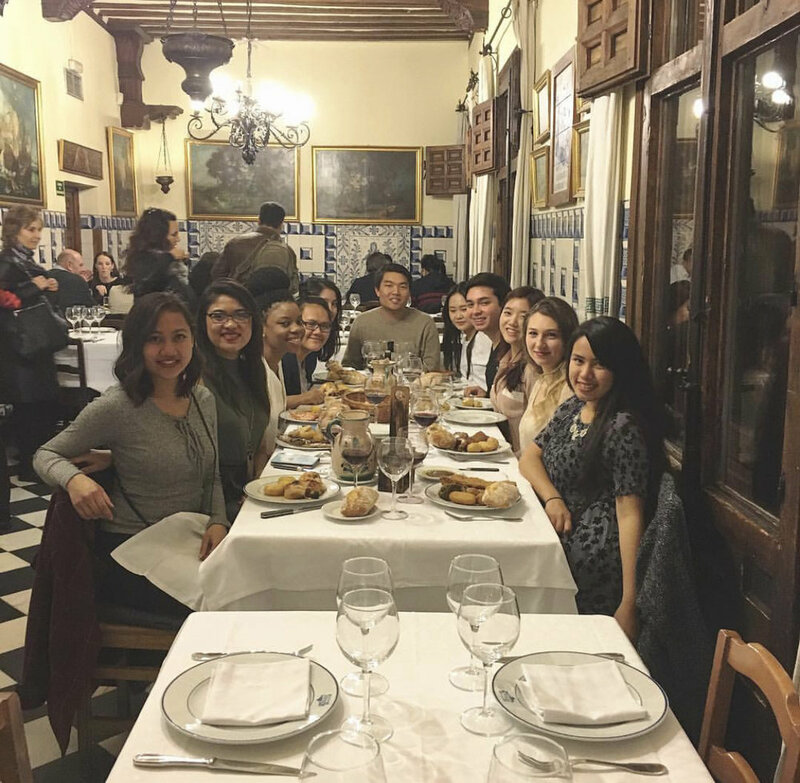 Note: This is a continuation of my A First Timer’s Guide to Madrid. If you have yet to read it, you can find it here. If you just want my list of recommendations, then you have come to the right spot! I have divided my list by what type of activity (where to visit, what to do, where to eat/drink and find the best food). I have also included what Metro Stop to get off on! Celebrating Simone’s 21st at the oldest restaurant in the world! Tip: I suggest calling and making a reservation ahead of time, it gets full! It’s not super common to find eggs for breakfast in Madrid or “American brunch food” for that matter, so this was a gem for the days when I missed the food from home a bit. My friends and I frequented this place so much we became regulars. Carmencita has delicious local takes on Eggs Benedict as well as mimosas (bottomless, if you so choose!) and other brunch cocktails. *These cheap eats are everywhere so I did not include the addresses (except the last two)! This is a well established tapas + bar around the city. Cheap eats and perfect for bar hopping! Super cheap menu del día! Cheapest revolving sushi restaurant in Madrid— 9€ for lunch! Good chinese food is insanely hard to find in Madrid. For someone that eats A LOT of Asian food, this was the hardest adjustment I had to get used to living in Spain. There was barely any Asian food and when I did find it, it was barely subpar. This restaurant is Madrid’s best, most authentic Chinese restaurant and it is extremely hidden, but very cheap—everything is under 5€. Note: No one calls this restaurant by its actual name, so don’t even bother asking for directions. Instead people call it el chino secreto (the secret chinese). It is located in an underground car parking lot! How to get there: Follow the hidden staircase in Plaza España dow to a small corridor. Walk past the car park entrance. On the opposite side of the lift you will see the restaurant. Warning: There are no signs and no decorations. You will know it is the correct place because there is a menu sticky-taped to the window and there is a very long line. The places below are the most authentic places to find Paella—by local suggestions aka my Madrileño friends lol. Note: Paella dishes (authentic ones) are always made for 2 or more people! This place is heaven on earth for croqueta lovers! There are more than 10 different types of croquetas, both traditional and creative! This restaurant has some of the most famous croquetas in Madrid. A lot of Madrileños say this is where you can find the best croquetas in the city. Another good cheap spot! This was also conveniently located by me—ha. There are multiple locations throughout the city! Note: Valor has a lot more options than San Gines and they have chocolates too! Best place for coffee, books and art all in one place! Best Red Velvet Cake in Madrid—hands down! Outdoor Cafe in a garden—beautiful! Cost: 18€ includes entry and 2 drinks | Make sure to bring your ID, they are very strict about that here! Calle de San Andrés, 1, 28004 One of my favorite bars/lunch places because downstairs is a sandbar! One of the best cocktail bars in Madrid! One of the most popular pubs in Madrid—mostly popular among foreigners. They play American football on the TV here! Also 1 euro tequila shots. The following are popular markets where you can go if you want to try bites of a bunch of different kinds of foods. They are especially busy on weekend nights. This market is a little pricier but well worth it! This market is open every 2nd weekend of the month and is an artisanal market both with handcrafted products and food (outside) in an old train station. The trains are still there! This is my favorite place to get pastries in the center of the city—there are so many options! Sunday Picnics at Retiro are a common Madrileño thing to do! This is the Madrid equivalent of Central Park and insanely beautiful. I was so lucky to have lived on the same street of one of the main entrances. This is where I went to journal a lot. This is within Parque Retiro—you must visit this! This is one of the most iconic Madrid landmarks—home to the iconic Cibeles fountain and the palace. 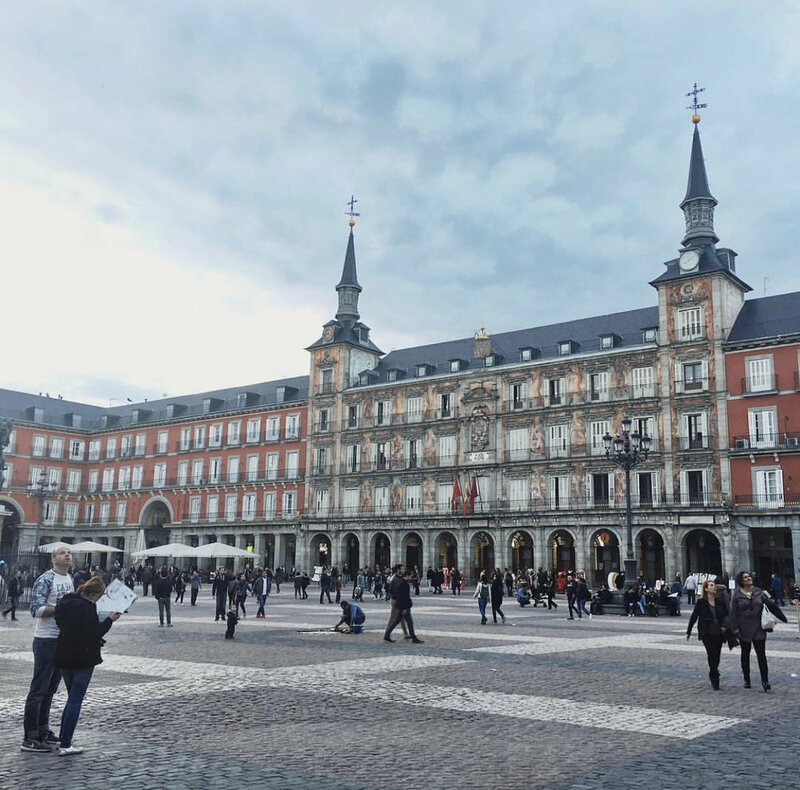 It is one of the most beautiful Plazas in Madrid. Fun Fact: After Real Madrid wins a game everyone celebrates here! Another iconic Madrid landmark. There are a lot of restaurants and shops in this area. It is also a great place to just sit and people watch! This is a beautiful indoor garden! The Art Triangle in Madrid houses the 3 most famous art museums in Madrid. You can visit them all off of the metro stop Atocha. This is an old Chamberi metro station from the 60s—has a museum showing history of Madrid’s metro system. 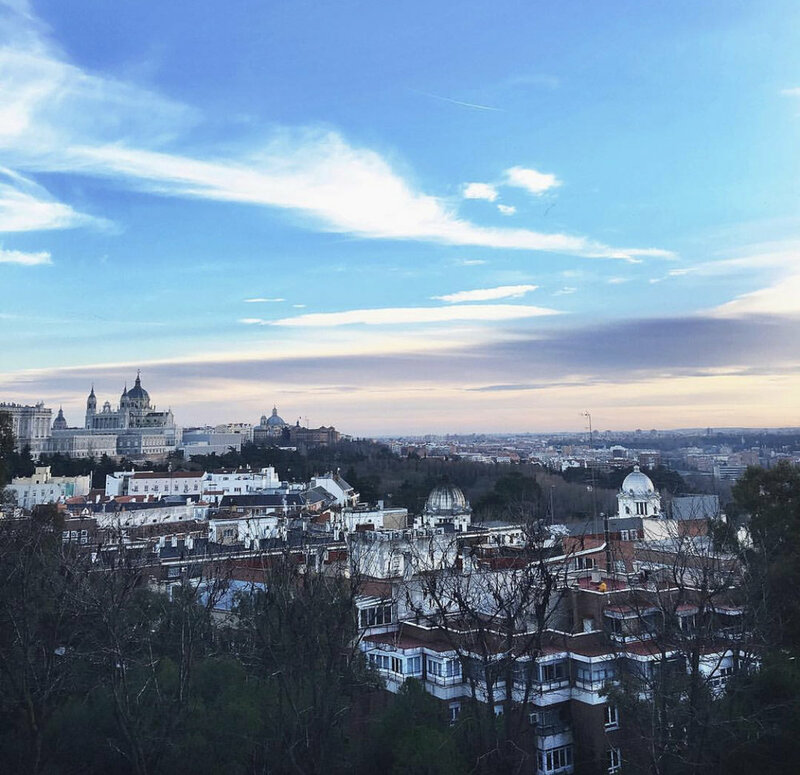 A First Timer’s Guide to Madrid. Hello from the other side….